IGN: The remaining eight episodes are scheduled to air on Disney XD. Do you know if they’ll be released on YouTube as well like the first eight? JM: That’s a great question. I’m not sure how they’re going to do it. I know the ones we’ve seen will definitely be in a half-hour format with Lupita Nyong’o as Maz Kanata to wrap around [the] stories, as kind of a storyteller, that’s definitely coming. IGN: Speaking of Maz, so far she’s been limited to a repeated voiceover introduction to each micro-episode. She hasn’t been seen in the series proper yet. Will that change? JM: Yeah, she’s more the storytelling in a way, the conduit for these stories. That’s really her role. IGN: In the 30-minute version, though, her narration will serve as a bridge between each story? It sounds like, in addition to the new season airing on Disney XD as a thirty minute special, the first season will also be released this way with new Maz Kanata voice over to connect the stories. It will be cool to actually see Maz in the show, instead of just hearing her opening line in every episode. The character's history makes her perfect to be the one telling these stories. 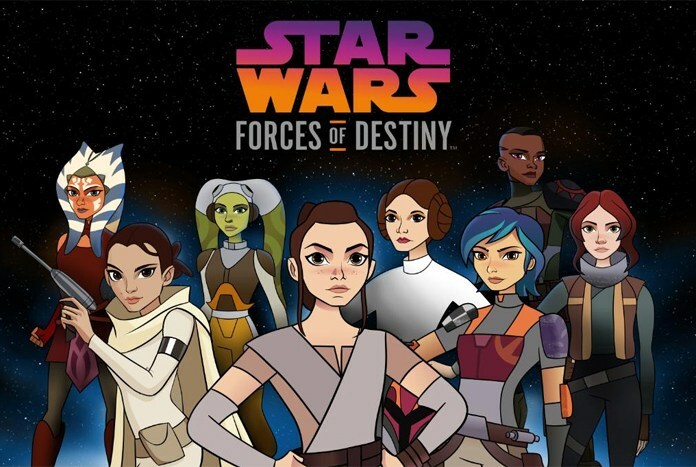 Also confirmed to be appearing in the second season are Hera from Star Wars Rebels and John Boyega reprising his role as Finn from The Force Awakens and The Last Jedi. Episode 5: "Beasts of Echo Base"
Episode 6: "The Imposter Inside"
Episode 8: "Bounty of Trouble"